Continents separated and the Atlantic Ocean expanded. This increased fraction of coastal areas and the hot climate became more humid. Continents also separated isolated marine areas with endemic species. Seas at high latitudes were much warmer than today. Flush vegetation extended up to the polar regions. The Earth was covered by coniferous trees, Cycas, and ferns. The vegetation was similar in different areas. Life recovered from the previous extinction, flourished and diversified. 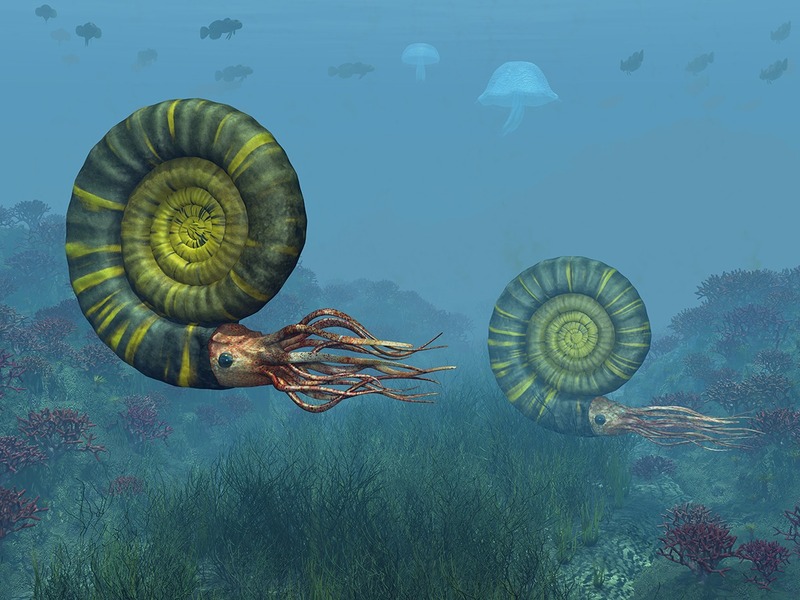 The oceans had plenty of fish, ammonites (shelled animals related to squids), and various large marine reptiles, like plesiosaurs, ichtyosaurs and pliosaurs. Also single-celled calcified algae called haptophytes became common. Dinosaurs and Pterosaurs diversified. Typical jurassic dinosaurs were for example large and long necked Diplodocus, predatory Allosaurus and Stegosaurus with its back plates. 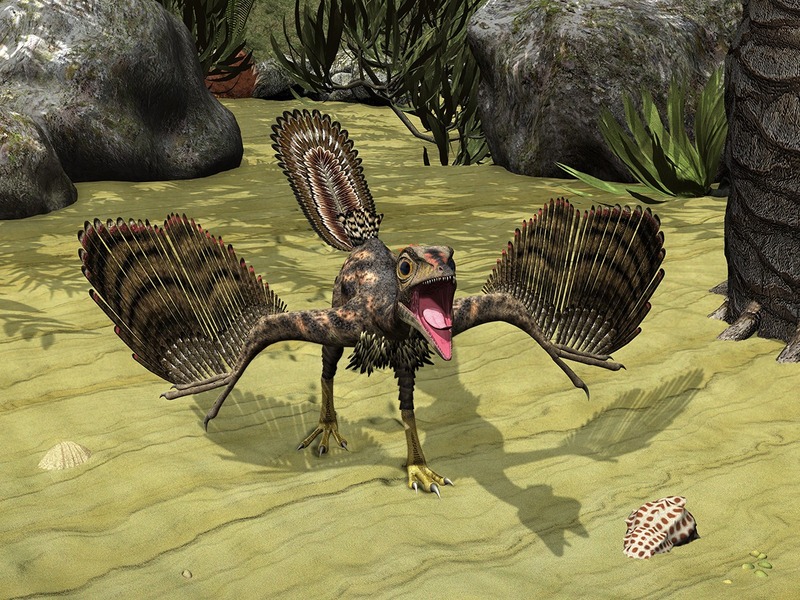 Also the earliest known bird, Archeapteryx, was a dinosaur. It had both bird-like and dinosaur-like features, for example wings with flight feathers, teeth and fingers with claws. 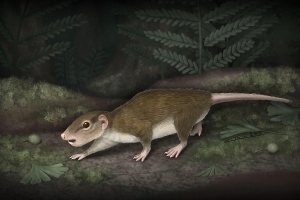 At late Jurassic evolved also an early group of mammals, multituberculates. 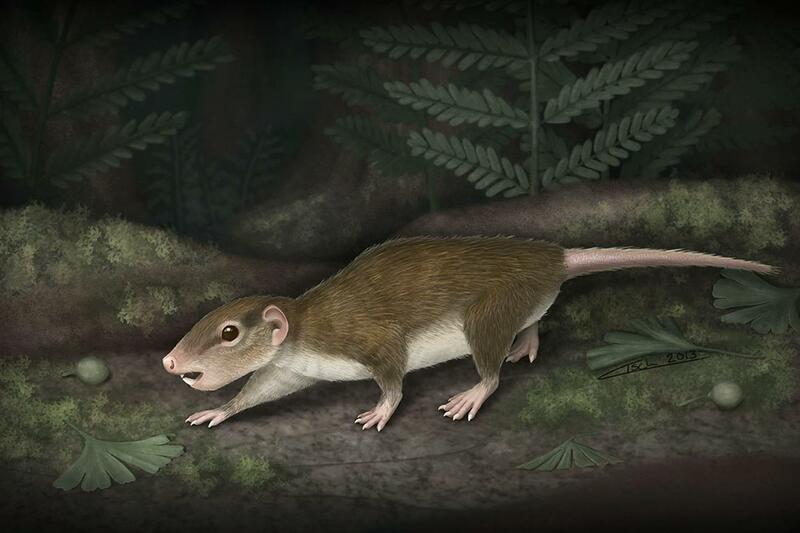 Despite of their rodent like appearance and lifestyle, they are not related to rodents. Multituberculates are not marsupials nor placentals, but their own group. Also placental mammals may have evolved already at Jurassic period, but this is under dispute. 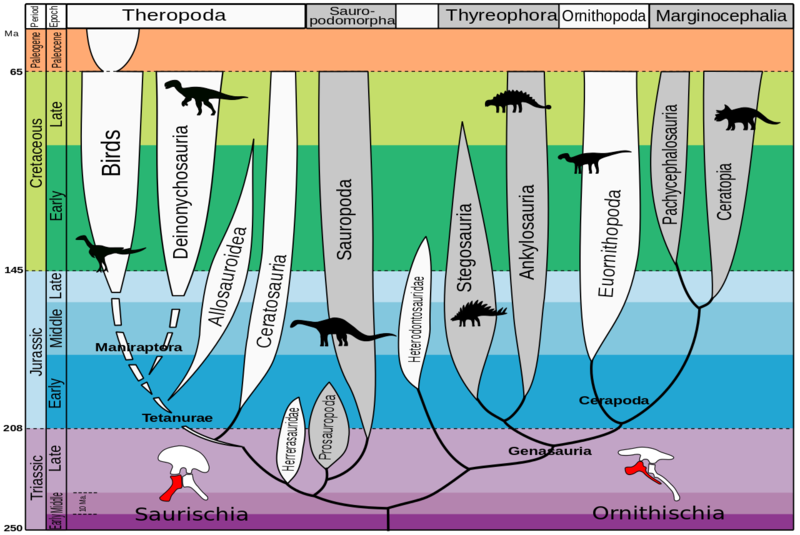 The dinosaurs were a very diverse group of animals. They were not cold blooded lizard-like beasts, but active and mobile animals. Dinosaurs did not even go extinct – birds are dinosaurs and quite closely related to T. rex and Velociraptor. Dinosaurs have many similarities to birds, for example similar respiratory system and many smallish predatory dinosaurs possed feathers for temperature regulation. 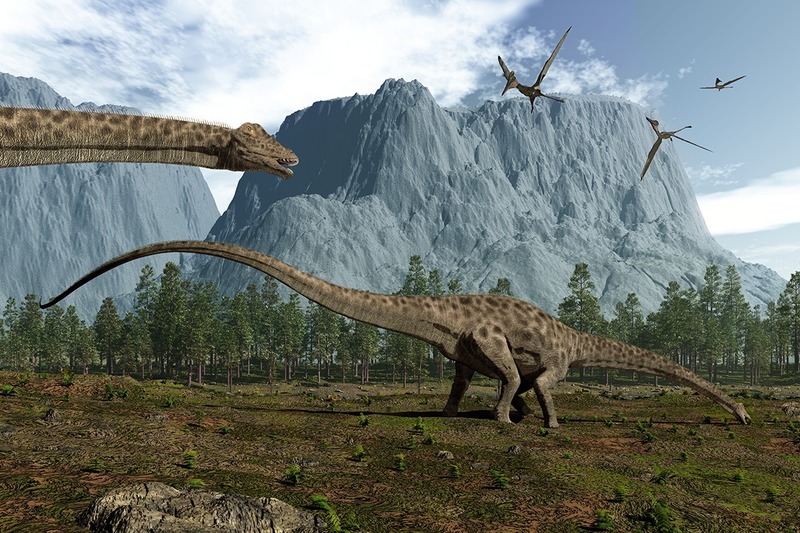 Scientists are disagreeing whether non-avian dinosaurs were warm blooded like birds, some kind of intermediate or whether this varied between dinosaur groups. Several hundreds of dinosaur species have been characterized. Structurally they divide into two groups, Saurischia and Ornithischia. 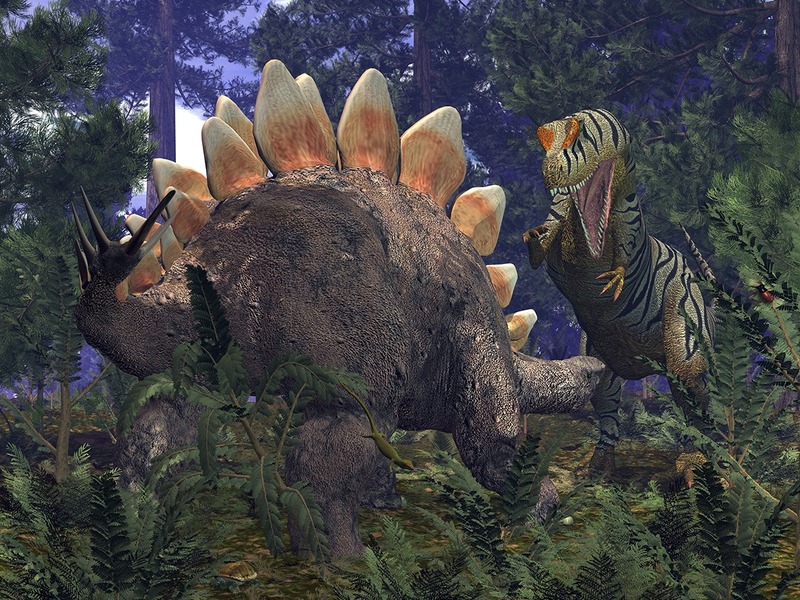 Saurischia includes bipedal predators, Theropods, and the large long-necked herbivores, Sauropods. Theropods include birds and many famous predator dinosaurs, including Tyrannosaurus, Allosaurus and Deinonychus/Velociraptor. Sauropods include the largests terrestrial animals ever. For example Diplodocus grew up to 35 meters long. Ornithischia are all herbivores. They include among others Stegosauria, Ceratopsia (such as Triceratops), and duck-billed dinosaurs (Hadrosauria). The dinosaurs dominated the terrestrial life for almost 200 million years, until the end of the Cretaceous period 65 million years ago.